This is an excellent choice for your landscaping. After planting hundreds and hundreds of these shrubs in the landscape I can say that they perform well in the Hudson Valley region. 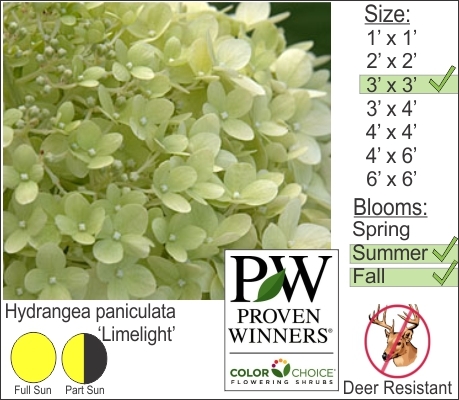 Large cream colored blooms throughout the summer mature to a pinkish color in the Autumn. This shrub is easy to take care of flourishing in full sun and part shade.